Did you know that Leatherback turtles travelling to British waters mistake our plastic bag debris for their favourite food, jellyfish? 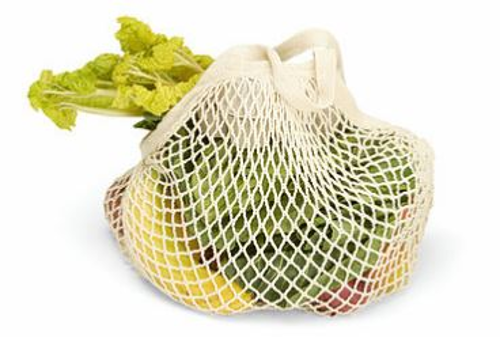 Help protect our marine environment by using your own plastic free reusable produce bags. 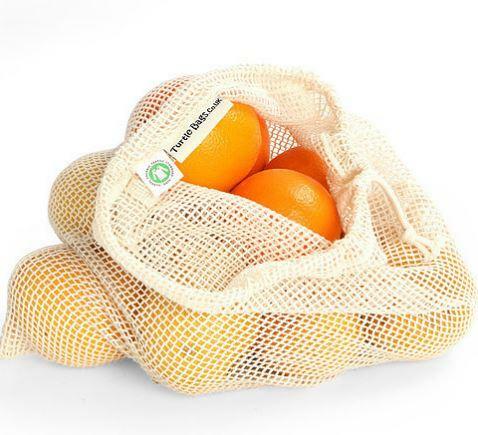 No more filling up plastic bags in the supermarket for your fruit and veg. 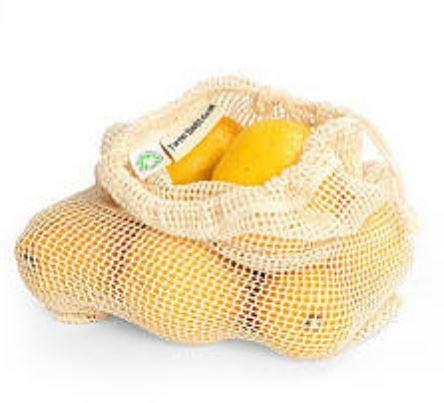 These bags are light weight, netted, washable, durable and made from Organic Cotton. 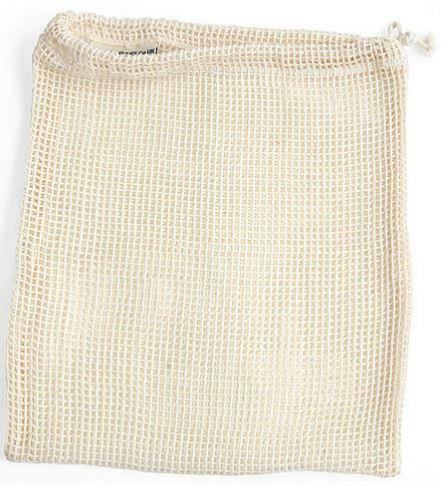 Size small; 10" x 12"
Size large; 12" x 15"
GOTS certified (No chemicals have been used in production, farmers are paid minimum wage and work in safe conditions.